What is the Woodward Associate Trainer Scheme? The Woodward Associate Trainer scheme is a way that a trainer; either an individual trainer or a trainer working within an organisation, can register with us to deliver a whole range of NEBOSH, IOSH and Highfield (HABC) courses under the Woodward banner. The Woodward Associate Trainer Scheme is constantly under development and more courses and other options may be added over time based upon the feedback and opportunity. Our Associate Trainer Co-ordinator is James Duggan, with Tom Duggan [MD] and Sharon providing administrative support for the scheme. Why would I want to be a Woodward Associate Trainer? 1. There are no up-front fees, you only pay for the courses you deliver. 2. This is not a franchise arrangement. 3. You have complete control of your workload and have the flexibility to work when you want to. 4. If you work as a consultant – being a Woodward Associate gives you the ability want to run both “in-house” and “open / public” courses for your clients. 5. If you work in a company – being a Woodward Associate gives you the ability to deliver very cost effective accredited training “in-house” to your workforce. 6. You are provided with ongoing support, guidance and advice from Woodward. Where can I run my course? If you need a training venue for your course delivery, our Esk Suite training room in Carlisle might be the perfect choice for you. For prices and room availability information please get in touch. The next step is to register you as a Woodward Associate Trainer. 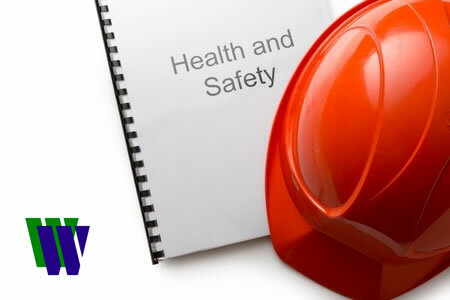 There are various requirements that Associate Trainers have to met in order to be approved by NEBOSH, IOSH and/or Highfield (HABC) as tutors before you can begin delivering courses. These requirements and the application process are explained in our Woodward Associate Trainer Guide. For further information, or to request a copy of the Woodward Associate Trainer Guide, please contact James on (01228) 592614 or info@woodwardgroup.co.uk .